Home - Posts tagged "Pakistan Navy Benevolent Association"
Since the inception of the Gwadar Port in Pakistan, the property investors have shown massive interest in this deserted city of Pakistan, hunting the best real estate deals in Pakistan. Further fuel added to the fire is the China Pakistan Economic Corridor. The project has also had an impact on the concept of Gwadar and it is believed to be a future hub of the international trade activities. For the said reason it is perceived as a huge opportunity for the property investors from across the globe. More and more investors are trying to be first in the rat race in the history of real estate in Pakistan. Some investors have acquired massive lands with an aim to launch a planned commercial and housing development. On the other hand, some have managed to reserve lands in most profitable projects like the one offered by the GDA (Gwadar Development Authority). There are many commercial and housing projects that have come up in Gwadar in past few years. These projects have urged the investors to invest their money for a massive return on investment (ROI) in coming future. At other instance, there are some government-sponsored housing projects named as New Town and Sangar which have earned some fast and massive return on investment. However, there are some private housing schemes that have shown their massive potential in recent times and people have started showing great interest in those schemes as well. To present an overview and to point out the potential of the investment in Gwadar here are few reasons, enough to convince the investors to invest their money in Gwadar. The Gwadar, with each passing day, is becoming one of the major international port cities of the world. Both provincial and federal government of Pakistan has their clear focus on the development of the area. With an aim to attract the investors, the government has established special industrial and commercial zones with precise tax remission and economical electricity in the area. The moment industries will start working in the area, the demand for the commercial and housing will start benefiting the property investors. If you compare the price of a per marla land in other cities of Pakistan with that of Gwadar, you will find that the rate is at its lowest at the moment (in most of the areas in Gwadar). Now if you review the pricing trends of Gwadar you can clearly see a surge in prices while a stable growth in other parts of the Gwadar. This situation is for a very limited time, sooner there will be new shapes according to the long-term plans. The moment the plan is executed and the basic infrastructure of the port city is built, the world will see a sudden surge in the prices. Also read: Why To Invest In Gwadar? Gwadar is planned as an international port city and for this reason, it is developed with a focus to offer the latest state of the art technologies and modern development standards. The master plan of Gwadar is designed with experts keeping in mind all the future needs and with plenty of room for future expansions as well. 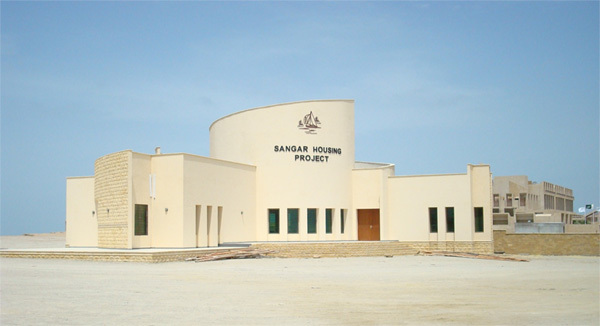 The basic housing schemes at Gwadar are developed according to the directions of the GDA to offer the future residents of Gwadar with a clutter-free master plan housing society. The role of Pakistani Army is no exception when it comes to talking about the stabilized security conditions in Pakistan. Just like other parts of the world the Pak Army has played a significant role in bringing peace to the Gwadar. Plus the Pak Army had taken over the responsibility of taking care of the situation and offering a peaceful environment to both local and foreign investors and professionals to facilitate them with steady and smooth development activities. And the presence of Pak Army is also believed to be a reason to protect the project and offer a secure environment that will boost the productivity of the plan. For those who are interested in investing in the Gwadar, we would like to mention that there are a number of housing and commercial projects that are on board in the port city. Here are the top 3 most appreciated investment targets of the investors and each one is appreciated for a number of reasons. Located on the Koh-e-Batil, the Sangar is also sometimes spelt as Singhar Housing Scheme. This housing scheme is located on the southern side of the Koh-e-Batil. The prime attraction of this society is the Oman Sea Port and the Arabian Sea view. This place is also a home for the very famous Pearl Continental Hotel. Being one of the most recently established societies the investors are now granted the property possessions and are almost one of the most expensive residential scheme in Gwadar. The housing society aims to offer the residents with a sustained and healthy development along with a vibrant place that can offer people with a strong infrastructure, state of the art housing and tourism and a comprehensive support for the development of the Gwadar City. The project aims to adopt a balanced approach to integrate a sustainable development and incorporate secure values with the maximum use of the waterfront available around the location. It is also focused on high-quality architecture and amazing design elements to make it one of the most liveable places of Pakistan. This one is a state-owned project and is undoubtedly an amazing choice for investment. The Jinnah Avenue is linked with this society. Apart from this easy approach, the Marine Drive is also linked to the society. This society consists of 5 phases. It has residential plots of all sizes, from 120 yards to 1000 yards. The New Town housing society is regulated by the GDA and is offering massive opportunities for investment in both commercial and residential plots. The New Town also has an amazing sea facing commercial plots that are in the way to marine drive area. The society currently has 4 phases and is situated in the center of the city. However, before buying a plot in this society you must look for the documentation and be careful during the entire process. The Naval Anchorage became a part of the Gwadar real estate in 2017 and has overshadowed all the private housing societies in Gwadar since then. This housing society is sponsored by the Pakistan Navy Benevolent Association and is well known for its quality housing projects. It is also considered as one of the safest and the most advanced investment opportunity in Gwadar. 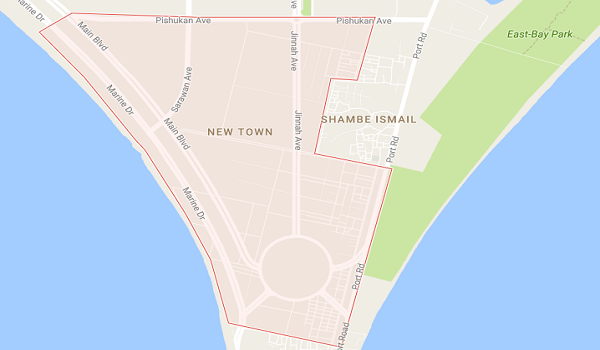 Some of the main reasons why you must invest in the Naval Anchorage Gwadar include; its background with the Pakistan navy, a strong background of housing development, safer investment, mega housing project, planned community, prime location near the zero point, demand in the market and higher ROI. Be it residential or commercial, for all projects, the investment in Gwadar is a great opportunity for the investors from around the globe. As the CPEC promises to change the picture of Pakistan in coming years and opening doors to new opportunities and a brighter Pakistan.